Revolutionary! Inspiring! Masterful! Essential! From around the world, the critics have raved about Larry Silverberg's series on the Meisner Approach. In Workbook Four: Playing The Part, Larry takes you on a most intimate and personal journey as he teaches you how to take on the life of the character in a deeply authentic, organic, and specific way. As you work through the lessons in Playing the Part, your creativity and imagination will be unleashed and you will learn what it really means to be an actor who is passionate, relentless, and true! Join the students who have studied with Larry and who have used his books to master the craft of acting. 5つ星のうち5.0Takes the mystery out of acting - thank God! I studied Meisner for three years, and it is by far the most practical, reliable, learnable technique out there. I also teach, and find that the technique gets students competent quickly, and in a year's time, very good. In my experience, after a year or two, most every student is better than the actors you see in prime time TV and many are up there with major film stars, if not better. I am aware of no other technique that delivers these kinds of results. 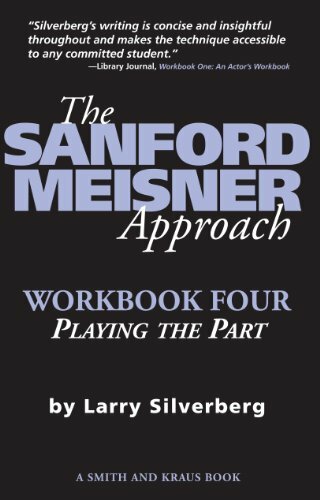 I deeply appreciate Silverberg's series because it lays out the Meisner excercises in a fun way without dumbing them down (there's not a lot TO dumb down, the technique, though it requires practice, really is simple). My copies are dog-eared and marked with notes. They're acting bibles. You DO need to find a Meisner class, and don't think you can do a 4-week workshop or some other gimmick and think you're trained. But until you can get to or while you're in class, these books are ideal for reference, clarification, and reinforcement. If you're still on the fence, please know that Meisner students get work. 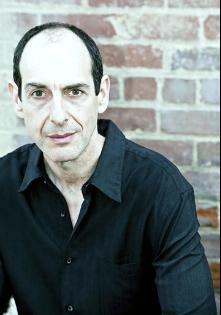 For working actors, there is no better technique for cold-readings and monologues. The technique also makes actors easy to direct, as it allows them to quickly translate cold instructions into fresh emotional circumstances without having to get all heady about it, and without a lot of rehearsal. There isn't enough being written about the technique, in my opinion. Silverberg's contribution is seminal. Please purchase the entire series of 4 workbooks. You will not regret it. Four stars because although the "doings" and the "as if" are so important, the affective or emotional memory seems to have a weight more on the side of Lee Strasberg then on Stanislavski's. Meaning: it's not so important as the other tools but it's good as an extra exercise. Well, maybe I am precipitating. I'll have to study and practice it it and not just read it. I really enjoyed this book. It is a good start on the fundamentals of text analysis as a springboard. It would be useful to go a bit more in depth into the rehearsal process, but that is difficult within a book. 5つ星のうち4.0Great supplement to studying Meisner work. Nice explanations on what to think about when you formulate the character and all books in this series include notebook client pages for you to take notes or practice the exercises. I liked the fact that he included questions of the class and his answers to those questions. 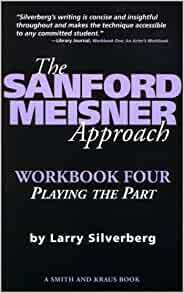 Having studied with Meisner in New York and now teaching this method to young film students, the four workbooks based on Meisner's work are invaluable. Has really helped me to dissect the techniques that have become second nature in my own work, in order to pass them on to those who will never have the opportunity to study with the technique master himself.